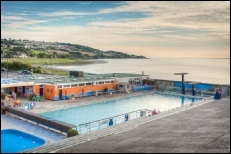 The 2018 award has been made to the 'Portishead Pool Community Trust' (Portishead Lido) for their contribution to the local community. This has veered away from the Civic Award format, but in recognition of their sterling work over the past few years both in restoring the working building and facilitating this asset to the town, the Society's members voted to make the 2018 award to them. The award was given to the RNLI building on the Channel shore on the northern edge of the Marina 'Fishing Village'. 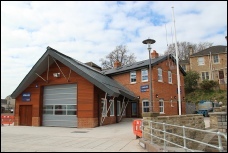 In 'replicating' the former terminus building of the GWR Pier Station (more latterly the Masonic Lodge), they managed to rebuild a lifeboat station both suited to their needs and able to enhance the site with its presence. The brick predominately used in the old building was matched in colour and many features of the old building were copied into the new. 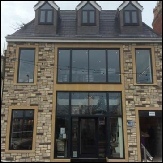 The architect was the Morgan Design Studios based in Blandford Forum, Dorset. The award took the form of an engraved wooden plaque that is situated in the RNLI retail shop outlet. Our first award was given to Gordano Carpets for the 'infill' they contributed to the High Street on the site of the vacant space in front of the former public library. The architect was David Glyn Emery of Clapton in Gordano. The result blends in very well with the existing High Street facades in both design and use of materials. 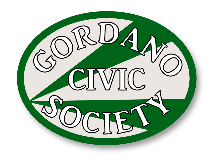 The Society’s Civic Award is made annually to a building(s) that in the opinion of the Society's members has made a significant contribution to the built environment within the Portishead and Gordano Valley area. The street scene is important to members of the community, as the environment within which we live and work contributes greatly to the well being of the community and individuals therein.